Debates on “gradualism” in evolutionary biology address the size distribution of evolutionary changes. The classical Darwinian position, better described as “infinitesimalism”, holds that evolutionary change is smooth in the sense of being composed of an abundance of infinitesimals (not one infinitesimal at a time, but a blending flow of infinitesimals). The alternative is that evolution sometimes involves “saltations” or jumps, i.e., distinctive and discrete steps. The dispute between these two positions has been a subject of acrimony at various times in the 20th century, with several minor skirmishes, and a larger battle with at least one genuine casualty (image). 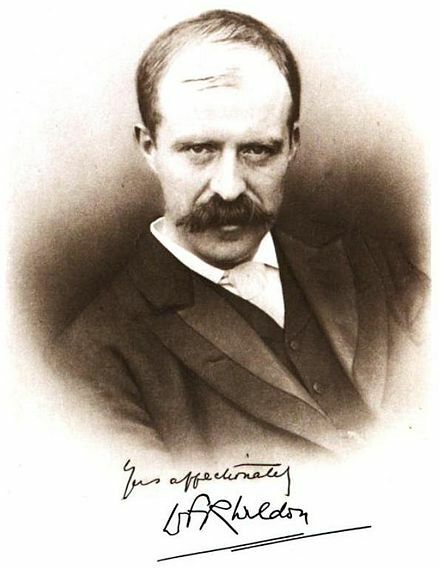 Walter Frank Rafael Weldon (public domain image from wikipedia). Weldon ignored an advancing illness and worked himself to death (1906) poring over breeding records in an attempt to cast doubt on discrete inheritance. 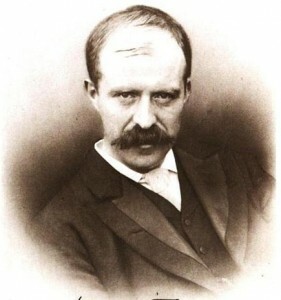 Along with Pearson and other “biometricians”, Weldon held to Darwin’s non-Mendelian view combining gradual hereditary fluctuations with blending inheritance. Today, over a decade into the 21st century, we have abundant evidence for saltations, yet the term is virtually unknown, and we still seem to invoke selection under the assumption of gradualism. Are we saltationists, or not? I’m going to offer 3 answers below. But first, we need to review why the issue is important for evolutionary theory.